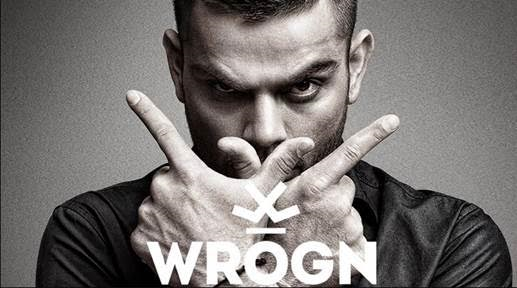 New Delhi, 15 March 2017: India’s leading online fashion portal Jabong, has announced the addition of Virat Kohli’s breakaway fashion brand WROGN to its product portfolio. The men’s fashionwear brand will be available on Jabong in 450 variants with prices ranging from Rs. 799 to Rs. 3599. Virat Kohli has made into the heart of millions and is touted as the best of all times with Kapil Dev even comparing him to the legendary Don Bradman. Virat has been the highest run scorer for India for 6 years straight and was the fastest in the world to reach 25 centuries in ODIs. He also holds the record for the fastest century by an Indian cricketer in ODIs (in 52 balls), the fastest to reach 7,000 runs in ODI’s, first cricketer to score three centuries in his first three innings as Test captain, first Indian Test captain to score a double century overseas and first Indian Test captain to score two or more double centuries. Built to cater to an untapped sports and entertainment ecosystem in India, Universal Sportsbiz under its brand ‘Collectabillia’, is every sporting enthusiast’s dream. USPL offers opportunities to fans to own memorabilia personally autographed by their icons, and assists celebrities with extending their brand connects beyond endorsements. Incorporated in 2011, India’s first celebrity-commerce company, Collectabillia launched its auction platform during the 2012 season of the IPL partnering with master blaster Sachin Tendulkar exclusively to auction limited edition merchandise post his historical ‘hundredth, hundred’. Moving forward as a company that encourages the collection of sports memorabilia for personal joy or as a strong investment proposition, Collectabillia aims to extend the global market of memorabilia into India, allowing the ownership of personalized merchandise along the same lines as that of art, numismatics and philately. Promoted by Anjana Reddy - also a sports enthusiast and national level badminton player - and backed by the Accel Partners, of the Angry Birds and Facebook fame, Collectabillia aims to bridge the gap between celebrities and their ardent fans by offering a sense of pride and possession.